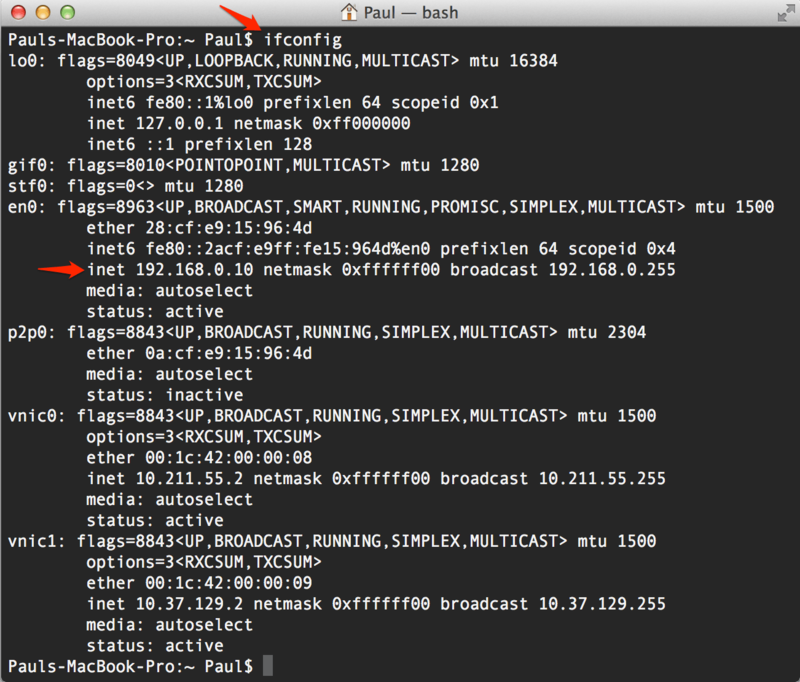 Ipconfig Mac – Just like you you can open command prompt in Windows and hit “ipconfig” to get your local LAN/WLAN IP address, you have the same option on a Mac in OS X with the command “ifconfig”. Simply open up the terminal, eg. by pressing cmd+space and typing “terminal”. Then type “ifconfig” and hit enter.